5 Průběhové časy = Continuous Tenses Popisují děj, který probíhal, probíhá, nebo bude probíhat v určitém okamžiku: I was waiting for you when your bus arrived. I am still waiting for you. I will be waiting for you when your bus arrives. At 8:00 PM last night, John was watching TV. It is 8:00 PM, and John is watching TV. At 8:00 PM tonight, John will be watching TV. At midnight last night, we were still driving through the desert. It is midnight, and we are still driving through the desert. At midnight tonight, we will still be driving through the desert. Yesterday at this time, I was sitting at work. I am sitting at work. Tomorrow at this time, I will be sitting at work. 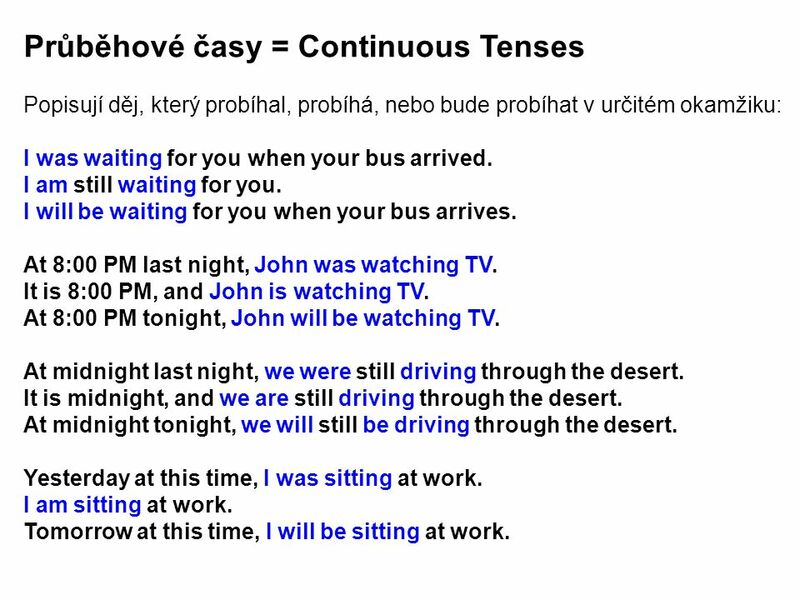 Download ppt "Vloženo z continuous.ppt Začátek Průběhové časy = Continuous Tenses Popisují děj, který probíhal, probíhá, nebo bude probíhat v určitém okamžiku:"
Yesterday, I was at home. In the morning, I listened to music and watched TV. Later, I had lunch and studied. After that, I played the guitar and I played. Tag Questions “Beating the clock ”. 1.She's Italian, 2.She doesn't have any children, 3.We are working tomorrow, 4.She wasn't at home yesterday, 5.He. PAST CONTINUOUS Minulý průběhový čas. FORM in general + be + …ing verb „to BE“ present participle. 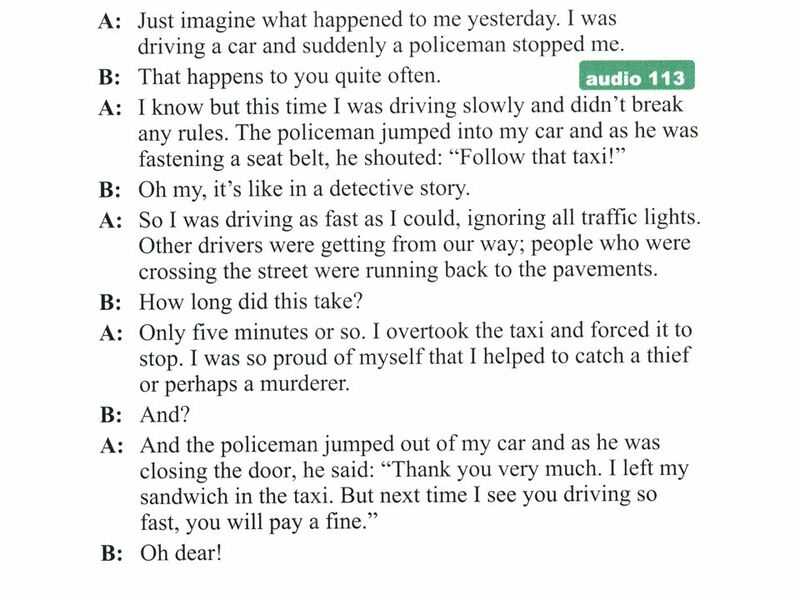 Things that happened before another action in the past:  When Sarah arrived at the party, Paul had already gone home  Karen didn’t want to go to the. 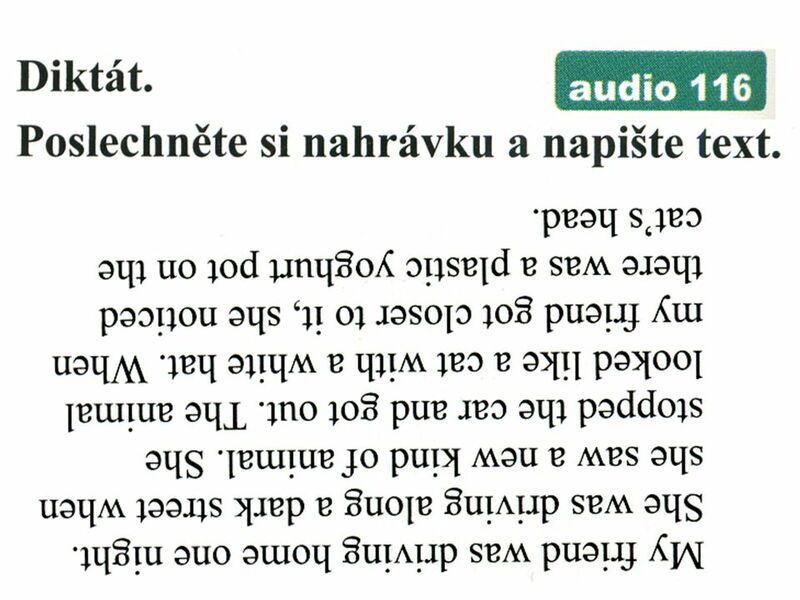 Výukový materiál zpracovaný v rámci projektu Označení:Sada: 3 Ověření ve výuce:Třída: Datum: Registrační číslo projektu:CZ.1.07/1.5.00/ VY_32_INOVACE_ANJ_VL_3_16. The Past Continuous Tense To show what somebody was doing at a particular time in the past, we use the Past Continuous Tense. 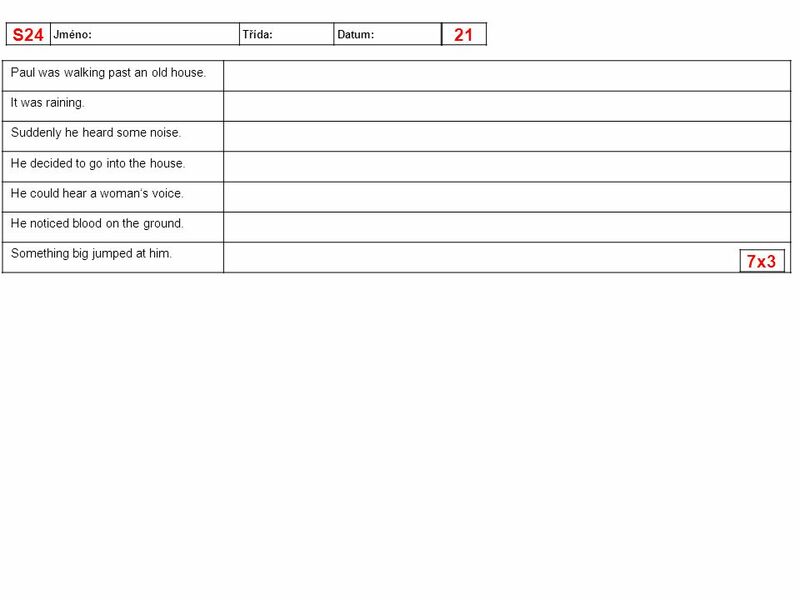 Review Perfect Tenses Intro Progressive Tenses April 16. Indra Tj - D 2422 English for Design 1 Meeting 6 Prepared by : Dr. Ir. Indra Tjahjani, SS, MLA, MMSI. P AST SIMPLE AND P AST CONTINUOUS. My sister read three books last week My sister was reading when I last saw her.